In 1948, William “Bill” Formica co-founded the Port Richmond-based firm, Formica Construction, now a well-respected and well-established Staten Island construction company. For well over six decades, Formica Construction commercial contractors have been building homes and businesses in Staten Island as well as New Jersey. Today, the tradition of excellence in construction continues with William and Kenneth Formica. From residential designs to commercial general contractor projects, Formica Construction does it all. 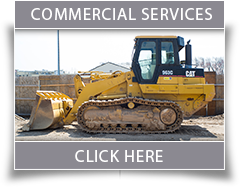 Formica Construction commercial contractors are in business to offer you a wide variety of construction services to meet all your needs. Our goal is to ensure every client is provided with quality work and exceptional customer service. Formica Construction prides ourselves on our continuous effort to always invest one hundred percent in all the work that we do. We are honored to have had the opportunity to contribute our work to thousands of homes in Staten Island as well as The Fountains in Sunnyside, one of the Island’s first luxury high-rise apartment complexes. Some of our other commercial contractor work includes the reconstruction of the Atlantis Marina and Yacht Club in Great Kills Harbor and the Surf City Marina in Long Beach Island, New Jersey. Years of hard work and dedication have rewarded us with the Staten Island Chamber of Commerce Craftsmanship Award, the annual Building Award, the Chairman’s Award and the Award for Natural Beauty. Formica Construction is proud of all our accomplishments throughout the years and we look forward to more opportunities to service you with all your Staten Island construction needs. If you’re looking for the best commercial contractors in NY, Formica Construction is here to supply you with all your construction needs.